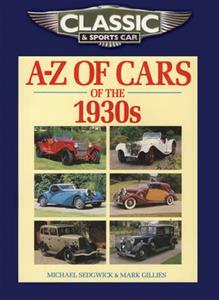 From AC to Wolseley, this is the illustrated encyclopaedia of every make of British, European and American car sold in Britain during the 1930s. Some 1000 cars are illustrated and described in alphabetical order, by manufacturer. There are comprehensive notes on each model's production dates and numbers, recognition features, variants, strengths and weaknesses.